After taking a punch to the gut in the courtroom on Thursday, CBS took another blow on Wall Street soon after, following its request for a temporary restraining order against Shari Redstone and her holding company, National Amusements, which was struck down. 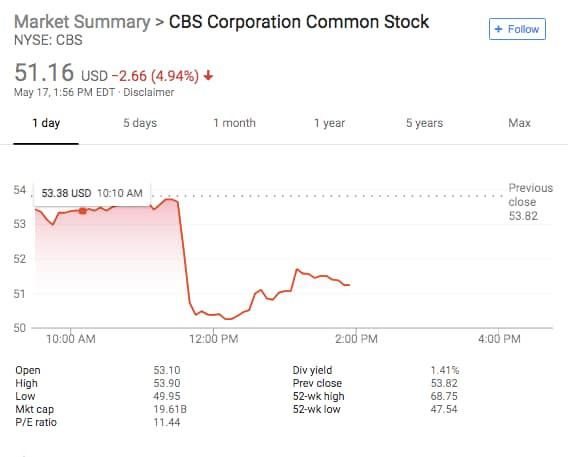 Shares of CBS dropped nearly 5 percent in midday trading in the aftermath, hitting $51.16 a share. Chancellor Andre Bouchard of Delaware’s Court of Chancery pulled back a temporary restraining order that had been granted on Wednesday. The judge had issued the order to give him time to fully consider the arguments heard and make a final ruling, and that’s what the two sides received today. CBS had argued the restraining order was necessary to keep Redstone from capriciously switching directors on its board. The court said the restraining order wasn’t necessary because the company can legally challenge board maneuvers from Redstone. 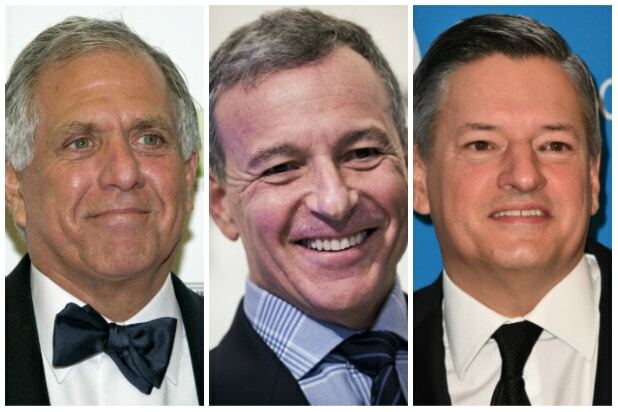 The ruling comes ahead of CBS’s scheduled board meeting set for Thursday evening, during which it plans to decided what course of action to take in an attempt to subvert Shari Redstone and National Amusement’s control over the company. Through National Amusements, Redstone owns roughly 79 percent of the voting power in CBS and Viacom, which she has been trying to push to merge. The restraining order would have prevented Redstone and National Amusements from getting involved in CBS’ board meeting on Thursday. CBS has considered issuing a stock dividend that would dilute Redstone’s interest to 17 percent from 79 percent. The company has said it’s open to exploring other options as well.